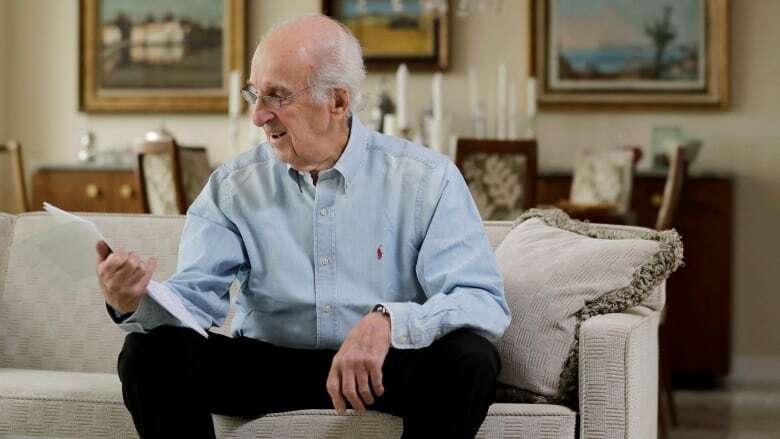 Peter Hirschmann, 92, cried when he read a handwritten apology from a stranger in Germany about his childhood home that was stolen by the Nazis. Peter Hirschmann, 92, cried when he read a handwritten apology from a stranger about his childhood home that had been stolen by the Nazis. The three-page note was from Doris Schott-Neuse, a 46-year-old German civil servant who recently learned that her grandparents acquired the Hirschmanns' Nuremberg house from Hitler's regime. "I am deeply ashamed for what us Germans did to yourself, your family and to your friends and relatives and to the members of the Nuremberg Jewish community," she wrote. "It is hardly bearable to start thinking about the details — what a horror and nightmare it must have been to live through this." Included in the envelope were photos of the Hirschmann family home today. "In the classroom, they heard about the Holocaust and what was done to Jewish people and other minorities. She never associated it with her own family because she never believed that her mother or her grandfather, grandmother were ever involved in something so horrible," Hirschmann, who now lives in Maplewood, N.J., told As It Happens guest host Helen Mann. "She realized that the belief that she had about her family and the past of her family was very faulty, that she had sort of lived in an imaginary world." Hirschmann was 14 when the Nazis kicked his family out of their stately house on the northeastern outskirts of Nuremberg in 1937. This was part of the so-called "Aryanization" process, in which Jewish businesses and properties were taken over by non-Jewish Germans, in the prelude to the full-scale mass murder of some six million European Jews several years later. 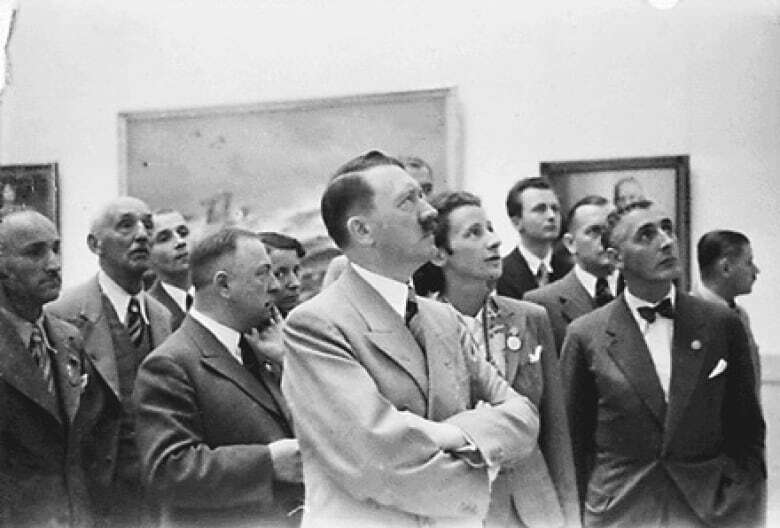 "Hitler began in 1933 and things got worse by the day, so when they finally took the house away from us, that was just the final straw to a long list of indignities that were bestowed upon us," Hirschmann said. He has fond memories of the old house. "It was one of the fine homes in Nuremberg. I won't say it was the finest home, certainly not, but it was a very fine home," Hirschmann said. "And I just had a wonderful life there until Hitler made it impossible to enjoy anything about our existence in Germany after he came to power." Hirschmann remembers that his father, a decorated First World War veteran and a "true German patriot," believed that Adolf Hitler's regime would collapse under its own weight and the tide of anti-Semitism sweeping the country would blow over. The first thing Hirschmann remembers is losing all his non-Jewish friends. "Those who became part of Hitler's movement all of a sudden wouldn't talk to me and certainly wouldn't have any friendly connection with us. And ultimately, we were left just with our Jewish friends and we made the best of it for a number of years," he said. The situation eventually became unbearable and his family applied for visas to the United States. 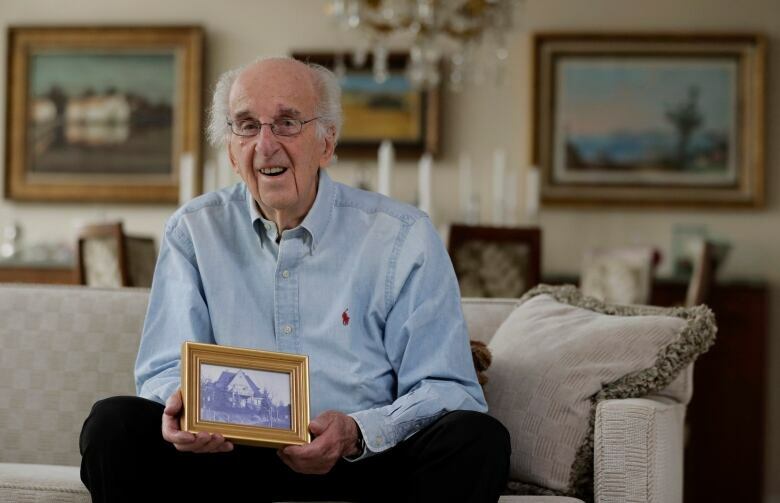 Hirschmann fled Germany with his parents and brother in 1939, and then joined the U.S. Army to help fight against the Nazis. Schott-Neuse has little memory of the home itself. She told The Associated Press that her aunt inherited it in 1969 after Schott-Neuse's grandmother died, and Schott-Neuse was five when her aunt sold it. She didn't know either of her grandparents, and she'd never asked a lot of questions. From her aunt, she learned a vague story about the house. "She told me there were Jews who were the owners, who were able to escape to the United States and my grandparents helped them," she told AP. "I don't know if I want to believe that any longer. The letter was not only telling the family I was very sorry, but it was also searching for what was going on." 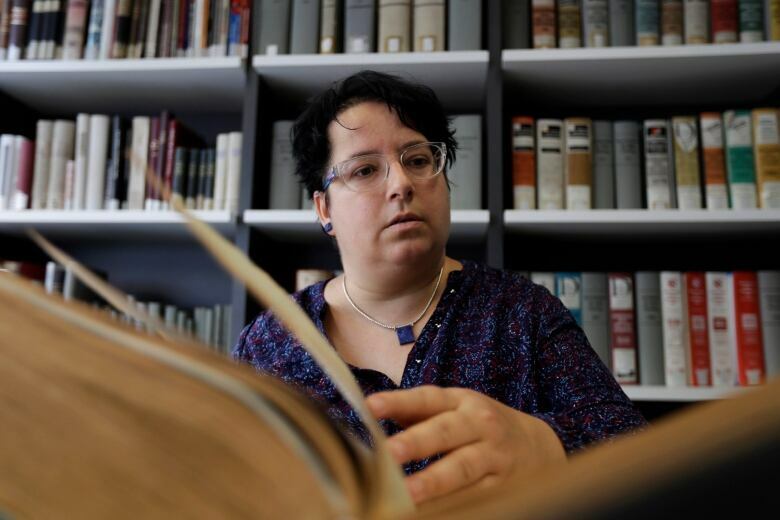 As Schott-Neuse combed through property registers in Nuremberg's city archives, she uncovered documents showing how the Nazis had methodically and bureaucratically seized the Hirschmann's home. By 1941, it was listed as being owned by "Muhr W., salesman." Willi Muhr was Schott-Neuse's grandfather. "I thought he bought it directly from the Jewish owners, but this doesn't seem to be true," she said. For Hirschmann, Schott-Neuse's letter has caused a wave of old memories to come flooding back. He wrote her an email in response. "I explained that the letter brought tears to my eyes for a number of reasons, one of them because it was about my beloved childhood home that I had lost. But it also made me sad because I realized she was suffering and she was totally blameless," he said. "I gave her recognition for the fact that when she found out about the Nazi past of her family and how the house had been acquired ... instead of just ignoring it, she actually confronted it, made it her business to find me so she could apologize. "In addition, I wished her well for her future and hoped that she would learn not to look to the past so much, but look to the future."